Buying a smartphone just for a change is very common nowadays as so many new models keep popping around with upgraded specs and cool new features. Sometimes they try to trap existing and new customers by creating a lure among them and through best online deals. G6 is LG's latest masterpiece for 2017. This device has top notch specs and tons of features. Similarly, there is also OnePlus 3T available with similar high-end specs. Let's compare the major difference between two and the key points you must focus upon. 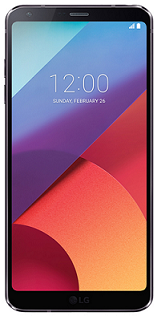 The LG G6 features a glass and metal design, offering rounded corners, slim bezels, and a rear-mounted fingerprint sensor just below the dual-lens camera.It measures 149 x 72 x 8mm, weighs 168g and features an IP68 rating for water and dust resistance. The G6 certainly has a premium build which is much better than its predecessor and available in Mystic White, Astro Black, and Ice Platinum colors. The OnePlus 3T also has a 5.5" Optic AMOLED display with 16:9 aspect ratio. It has a full HD resolution with pixel density of 401ppi. It also features Night mode and protected by a Corning Gorilla Glass, but there is no HDR support or quick glance notifications available. The LG G6 has a dual-lens rear camera with two 13 Mp sensors. There is optical image stabilization on board and phase detection autofocus as well as dual-LED flash. The OnePlus 3T has a 16 Mp single rear sensor, phase detection autofocus, and optical image stabilization. It offers manual control, Auto-HDR and Dynamic Denoise feature. There is also a 5 Mp front-facing camera on the LG G6, while the OnePlus 3T has a 16 MP front camera. Both devices feature 1080p video recording capabilities. The LG G6 runs on Qualcomm Snapdragon 821 chipset, supported by 4GB of RAM and 32GB or 64GB of internal storage, with microSD support. There is a 3300mAh battery support, support USB Type-C and Quick Charge 3.0. 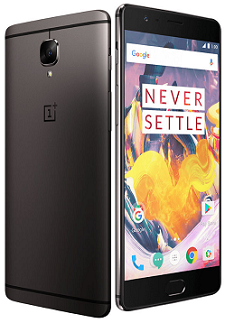 The OnePlus 3T also has the Qualcomm Snapdragon 821 processor, but it has 6GB of RAM and the choice of 64GB or 128GB of storage. There is no microSD support. It has larger 3400mAh battery can be charged over USB Type-C and also has Dash Charge, which is OnePlus' version of Quick Charge. Both devices have a conventional headphone jack. The LG G6 features Android Nougat with LG's UX 6.0 software over top whereas The OnePlus 3T runs on OxygenOS 3.5, which is a customized version of Android. It has a couple of tweaks and additions, such as multi-window view, custom gesture controls, and adjustable buttons support. Both the devices are top class highly upgraded premium designs with a full range of features. Meaning there is no one good other better this time, but certainly depending upon specifications and brand choice, both devices are highly recommended. The G6 is waterproof and has a superb camera, again with the fantastic display will certainly cost around £100 more than OnePlus 3T. The OnePlus 3T starts at £399, while the G6 is likely to be priced around £500.